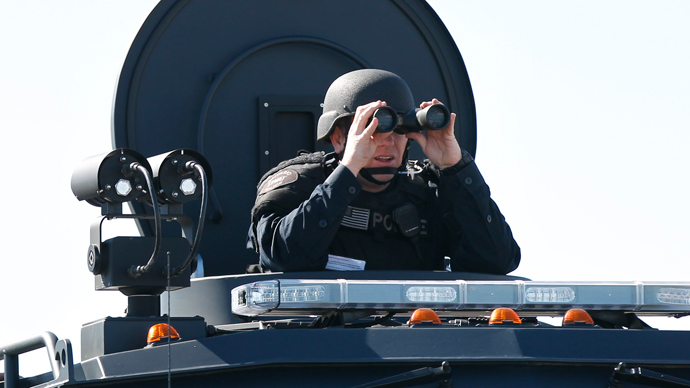 The American Civil Liberties Union released a report on Tuesday about the increasing militarization of the country’s police departments. The Massachusetts chapter has sued a Baystate SWAT team agency for refusing to release records for the report. 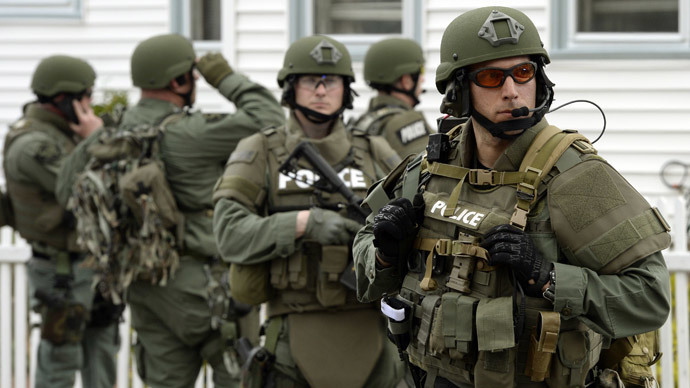 The national ACLU report, called ‘War Comes Home: The Excessive Militarization of American Policing’, looked at the use of SWAT teams in law enforcement, especially when it comes to drug raids. 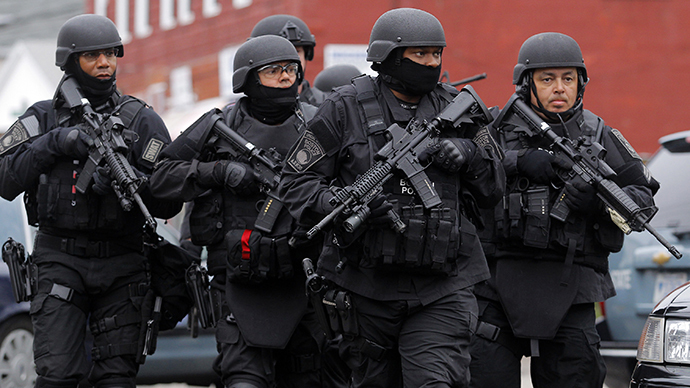 Created in the late 1960s as “quasi-militaristic” units designed to handle emergency situations such as riots, hostage scenarios and active shooter situations, the number of SWAT squads have since surged, and are “used with greater frequency and, increasingly, for purposes for which they were not originally intended—overwhelmingly to serve search warrants in drug investigations,” according to the report. 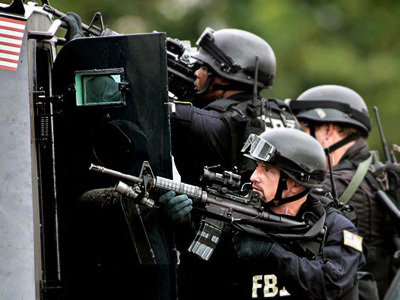 The report examined 818 SWAT operations from July 2010 to last October, which were conducted by more than 20 law enforcement agencies in 11 states. The ACLU of Massachusetts (ACLUM) also released a report on the agencies in the commonwealth. According to the ACLUM, the North Eastern Massachusetts Law Enforcement Council (NEMLEC) – a group of 58 police and sheriff departments in Middlesex and Essex counties – refused to release records requested for the report, saying that it is a private, non-profit corporation and therefore exempt from public records laws. In response, the civil rights organization filed a lawsuit against NEMLEC Tuesday, saying that the law enforcement council and its member agencies receive government grants and taxpayers’ money to purchase its equipment. In its suit, the Baystate chapter is asking the Suffolk County Superior Court to declare that NEMLEC's documents are public records and to order the agency to release them. "NEMLEC can't have it both ways," ACLUM staff attorney Jessie Rossman said in a statement. "Either it is a public entity subject to public records laws, or what it is doing is illegal." PrivacySOS detailed why the organization believes that NEMLEC cannot be a private company. 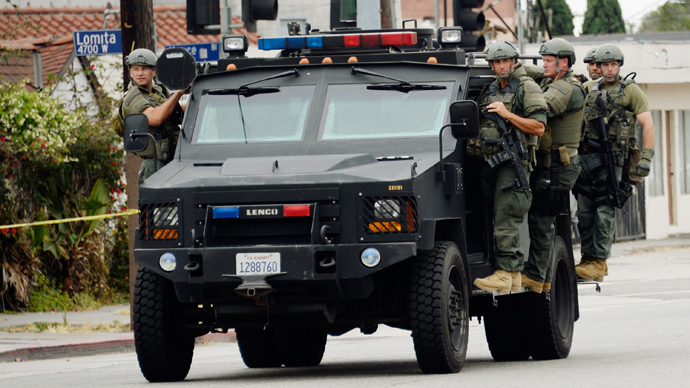 The ACLU survey discovered that 62 percent of SWAT missions were for drug searches. Some 79 percent involved raids on private homes, and a similar proportion were carried out with warrants authorizing searches. 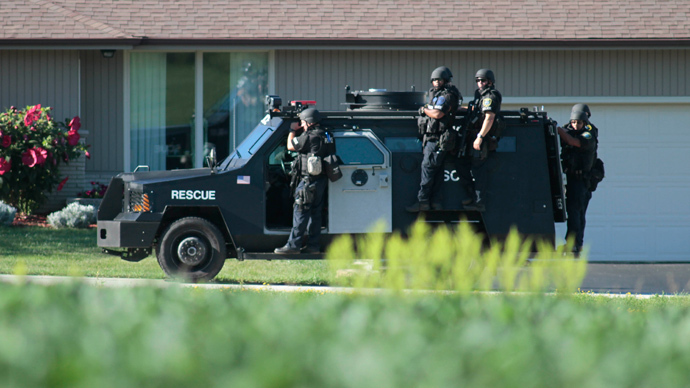 However, just seven percent of the incidents fell into those categories for which SWAT was originally designed to handle, such as hostage situations or shootings. As the United States winds down its military operations in Afghanistan and Iraq, local police forces are getting the used ‘hand-me-downs’ from the US military. 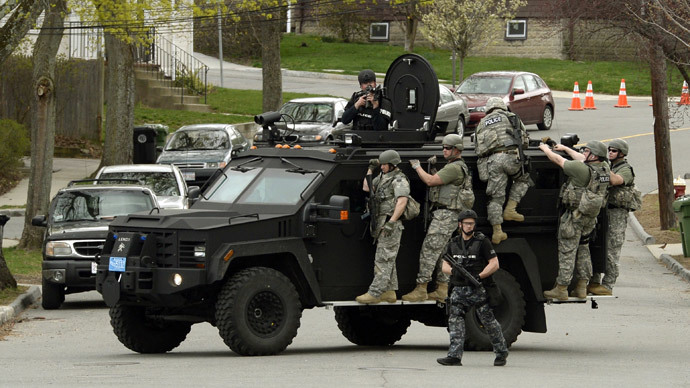 This makes some American communities resemble the latest occupied zones with police dressed in combat fatigues and driving MRAPs and carrying AR-15s down Main Street. 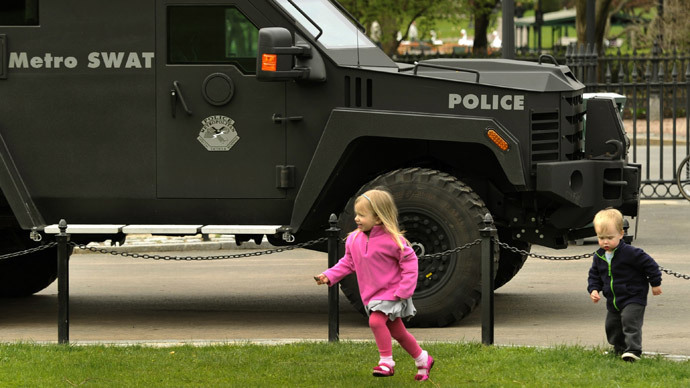 And that militarization is exactly what makes NEMLAC different than the non-profit it claims to be, ACLUM believes. 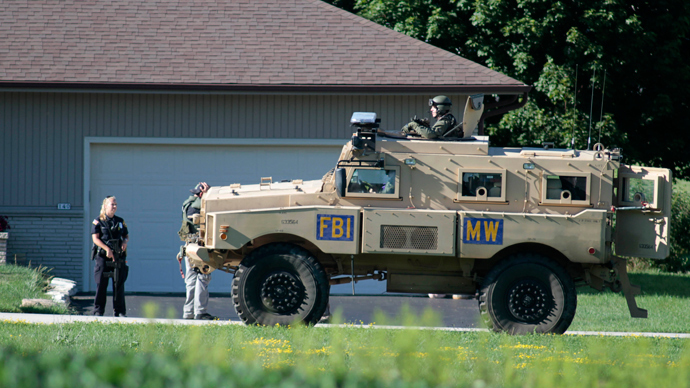 "Private individuals can't own automatic weapons, or even get product information about armored vehicles," Rossman said. "NEMLEC operates with all of the privileges of a law enforcement agency, and like a law enforcement agency, it should be accountable to the public." Along with the lawsuit, ACLUM made several recommendations to the Massachusetts legislature in its report, released on the PrivacySOS blog. The group asked Baystate legislators to enact laws requiring transparency and oversight of the use of SWAT teams in the commonwealth. 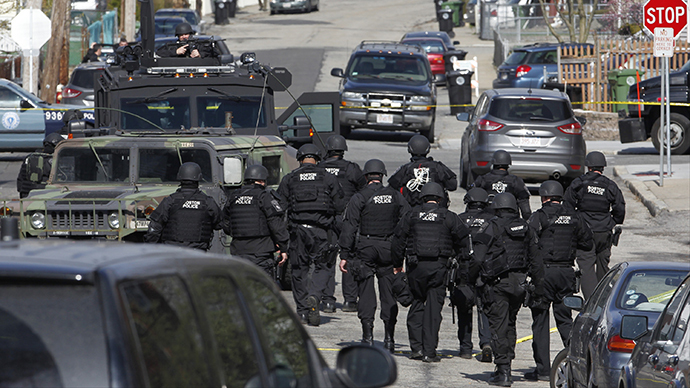 The suggestions included agencies using standardized forms about SWAT deployments and using those forms to generate quarterly reports; reporting to the legislature on a quarterly basis the number of times SWAT teams were deployed, the details of each deployment and the reasons necessitating the use of a SWAT team; and creating an agency to oversee and monitor SWAT activity throughout Massachusetts. That agency would also be in charge of implementing reforms and developing a process for addressing civilian complaints against SWAT tactics.